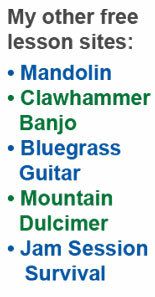 Here are some of the chord positions you will encounter frequently as you play. 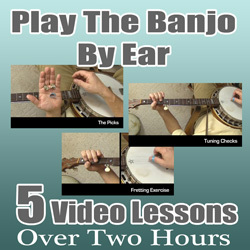 Learn to play each of them so that ALL the notes are clean and distinct. Bear in mind that often you will only be playing PART of the notes of the chord while picking out a tune. A good example of this is found in measure #2 of the A-Part of Cripple Creek where you hold two fretted notes that are part of the C chord. 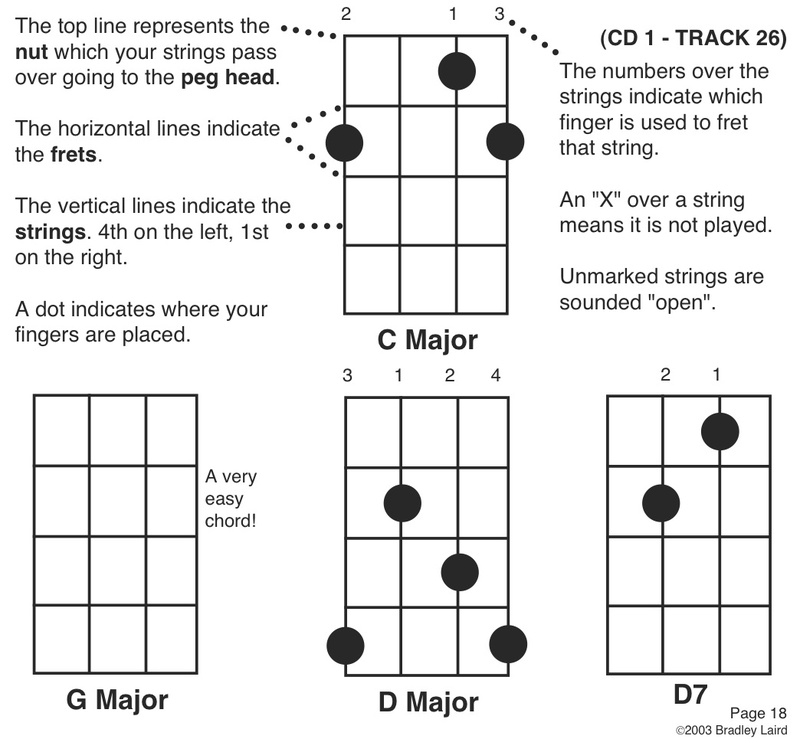 Go back and look at it and compare to the C chord above. That's what I am talkin' about. The people are clammoring for more chords! They are HERE in lesson 16.